Since 1989, Dr. Robert Lubovich has cared for people of all ages with many kinds of health issues. He enjoys helping his patients in Lakeville and Burnsville live healthier lives. To address a range of health problems, he has developed a wellness care practice that offers chiropractic techniques and other alternative health care options, including massage therapy and acupuncture techniques. My focus for over 25 years has been on the individual and their health issues and goals. We value each patient and our priority is their well-being. From back and neck pain to sports and accident injuries as well as allergy issues, we treat the whole person. Chiropractic is best known for the care of the spine. 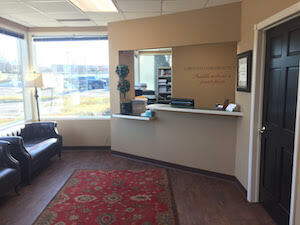 There are, however, many other reasons people come to Lubovich Chiropractic, P.A. for health care alternatives. Everyone, regardless of age or condition, can benefit from a nervous system that is performing at peak. The spine houses the nervous system, which carries vital communications between the brain and the rest of the body. Headaches, neck and back pain are often signs of problems with the spine. If a patient has subluxations, or muscle spasms related to stress in the spine, chiropractic care may be helpful. Such stress affects adjacent nerves and interferes with control and regulation of the body, and can be an underlying cause of many health problems. Only a chiropractic examination can detect subluxations, which can become serious and difficult to correct if they are not treated. Many find it surprising that chiropractic techniques can benefit children who suffer from health issues like ADHD, colic, bed-wetting, asthma, ear infections and stomach problems. These are common childhood health complaints related to nerve disturbances. We aim to locate the dysfunctions and reduce or eliminate the symptoms. Many difficult problems we see in adults are long-standing issues that began and remained undetected in childhood. If you want to watch your body perform at its best potential, contact our office today!